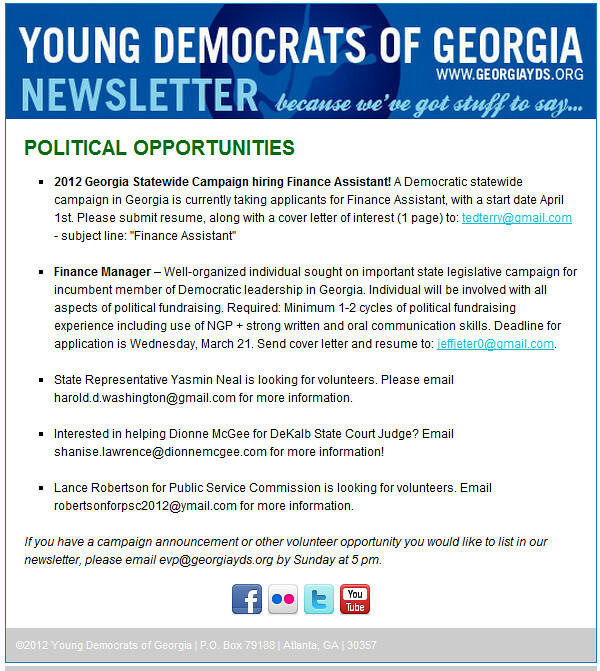 In an email (pictured left) sent out Monday afternoon, the Young Democrats of Georgia informed their members that Lance Robertson needs volunteers for his PSC campaign. The email goes on to let Georgia Young Democrats know how they can contact Robertson's campaign. There's only one problem (Actually, there are several problems). Lance Robertson currently affiliates himself with the Republican Party. 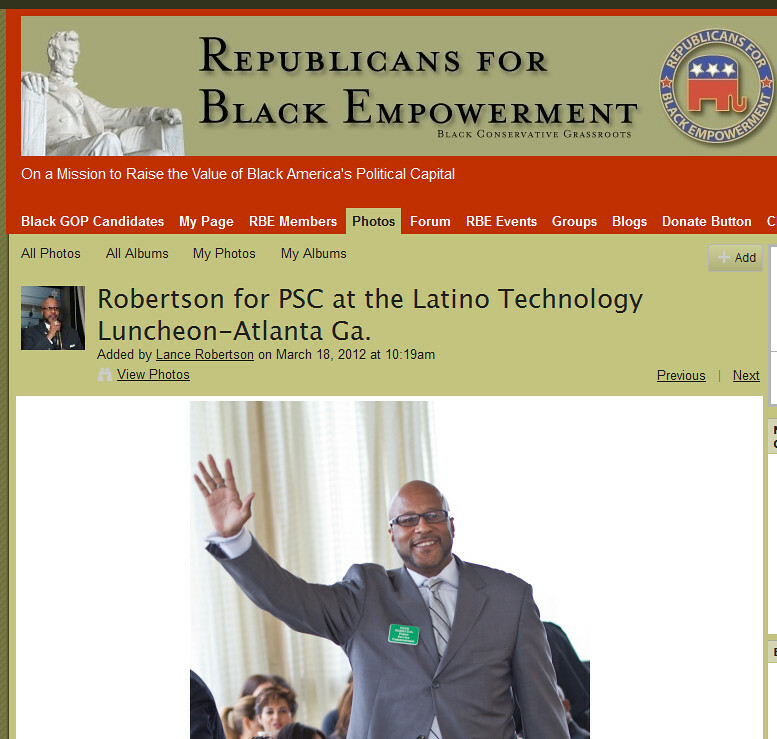 Robertson is even featured prominently on the GOP-leaning website "Republicans for Black Empowerment" (pictured below, right). Now I welcome more blacks to the Republican Party. I believe there should be more blacks in the Republican Party. But Lance Robertson should not be a Republican candidate for anything. I googled Lance Robertson and found several articles reporting on an alleged sexual assault and false imprisonment dating back to 2004, when Robertson was deputy chief of staff to DeKalb County CEO Vernon Jones. Robertson was cleared of wrong-doing due to lack of evidence, but he was unceremoniously fired by Vernon Jones in 2005. It seems suspicious that the Young Democrats of Georgia would promote a Republican candidate for statewide office. Even more suspicious is the background of the Republican candidate the Young Dems are promoting. There's a little theory known as Occam's razor. Occam's razor says all things equal, the simplest explanation is usually the correct one. So which explanation is the simplest? That the Georgia Young Democrats suddenly support Republican candidates for office? Or that the Young Democrats of Georgia are up to dirty tricks designed to get the most unelectable Republican nominated in the July primary?